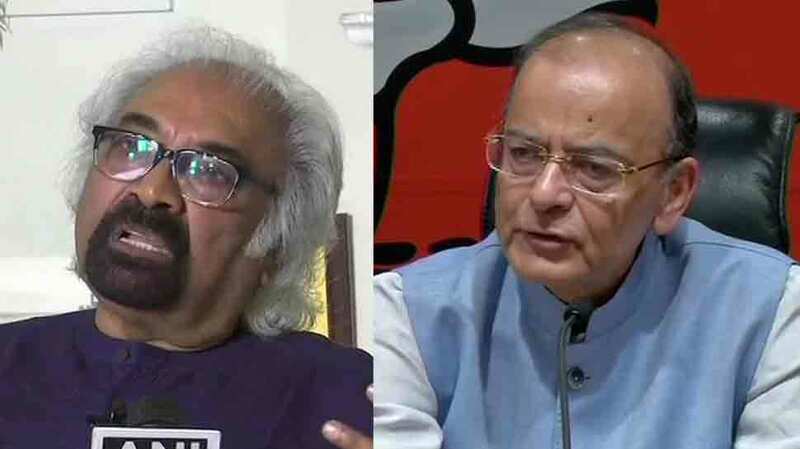 New Delhi: Finance Minister Arun Jaitley on Friday came down heavily on Sam Pitroda for his remarks on Balakot airstrike and 2008 Mumbai terror attack and said that it is unfortunate that such people are an ideologue of a political party. “He believes what we did was wrong. No country in the world said this, not even the Organisation of Islamic Cooperation said this. Every country supported as in surgical strike and airstrike. Only Pakistan was reluctant to do so. Unfortunate such people are ideologues of a political party,” Jaitley said at the BJP headquarters today. “This is a condemnable statement. We have been fighting terrorism since a long time. We will destroy the terror bases wherever it will perpetrate. Both surgical strike and sir strike were meant to do that. We were supported by global leaders in our attempts,” he said. Prime Minister Narendra Modi also slammed Pitroda for questioning the death toll in Balakote airstrike and said that “Pitroda has kickstarted the Pakistan National Day celebrations on behalf of the Congress, ironically by demeaning India’s armed forces. Pakistan observes its National Day on March 23. Pitroda is a close aide of Rahul Gandhi and Overseas Congress chief and is a part of Congress’ manifesto committee for the Lok Sabha elections. He is considered a senior ideologue of the party. On Friday, he questioned the death toll in Balakote airstrike carried out by Indian Air Force (IAF) in response to Pulwama terror attack by terror outfit Jaish-e-Mohammed and said, “it was wrong to attack Pakistan”. “If you say 300 people were killed, we all need to know that. All Indians need to know that. Then comes the global media which says nobody was killed. I look bad as an Indian citizen. I would like to know more as I have read in the New York Times and other newspapers. What did we really attack? we really killed 300 people?” Pitroda said. “Data has be neutral. So you come in today and say I killed 300 people and I say wait a minute, the World is saying we didn’t kill anybody or kill less or kill more,” he said. Referring to the 2008 Mumbai attack, he said that eight people came and did something but we don’t jump on the entire nation,” he said. He also said that he totally disagree with the way PM Modi acted post-Pulwama attack. “The formula is to create an environment of fear by saying that there is an enemy at the border. In India, it’s Pakistan, in the US, its Mexican immigrants. They say everybody is bad because nobody is competent,” he said.